Some thought he’d never get caught. 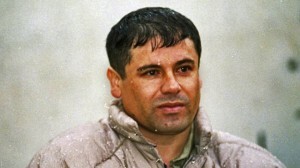 But Friday members of Mexico’s navy caught drug lord Joaquin “El Chapo” Guzman in a bloody raid Friday, CNN reports. “Mission Accomplished,” President Enrique Peña Nieto announced via Twitter. “We have him,” CNN reports. The navy caught Guzman in an operation at about 4:30 a.m. (6:30 a.m. ET) in the coastal city of Los Mochis in Sinaloa state, a senior law enforcement official in Mexico told CNN. Several people aligned with Guzman died in the raid. Posted: 1/8/16 at 6:21 PM under News Story.